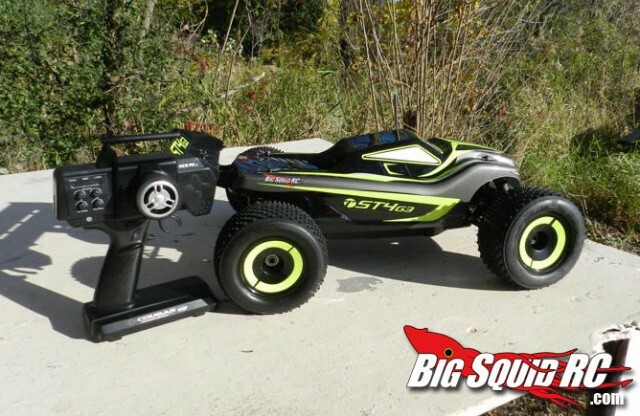 Thunder Tiger ST4 G3 Review « Big Squid RC – RC Car and Truck News, Reviews, Videos, and More! When I heard there was a new truck in the office based on the basher of the year truck, I jumped on it! At first look, the Thunder Tiger ST4 G3 looks tough. It uses a popular style body in the industry right now. The laid back cab and embellished front fenders makes it look like it is moving while standing still. 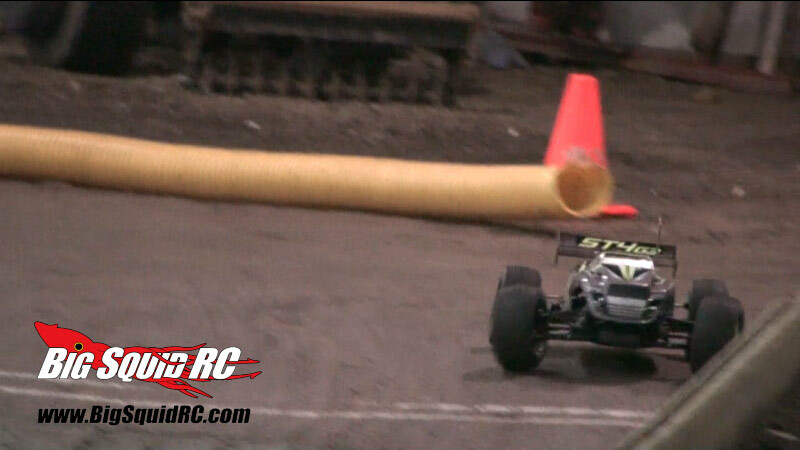 Knobby tires and a truggy wing add a hint of the race-ability. So does the ST4 G3 live up to our expectations? 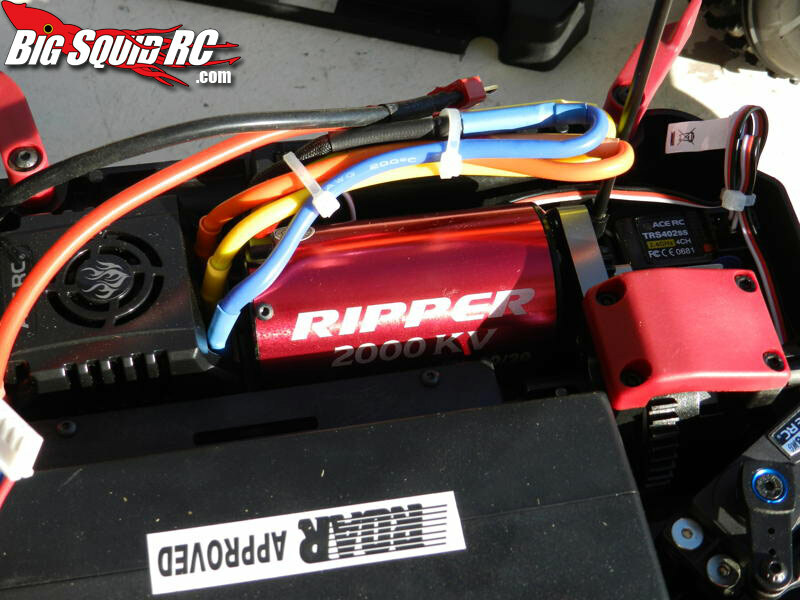 Keep reading to find out..
2x 2S Lipo with deans plugs or 4S Lipo. BUILD QUALITY: While testing, I did run into a few problems. On the first run, the rear shock caps came off on some rather small bumps. I was able to fix this problem with some sleeves I made out of ¾” conduit. Then I found the rear dog bones were slightly to short and would pop out of place under power. A quick adjustment of the camber links fixed the problem, and kept them securely in the truck. 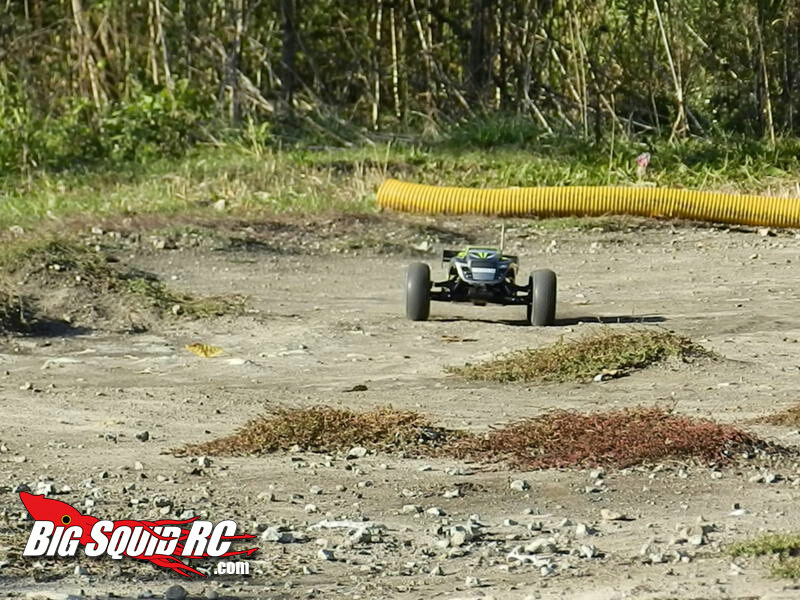 Primary Competition: Traxxas Brushless E-Revo, HPI Trophy Truggy Flux. 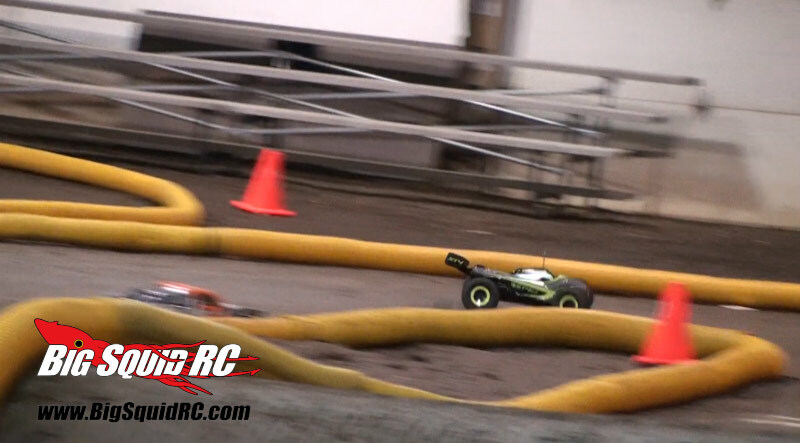 TEST VENUES: Open fields, parking lots, Leisure Hours Raceway (indoor track), and a Local dirt oval. SET UP: The truck was tested stock and with some slight mods to fix the issues I talked about previously. TURNING: The ST4 G3 turns great. 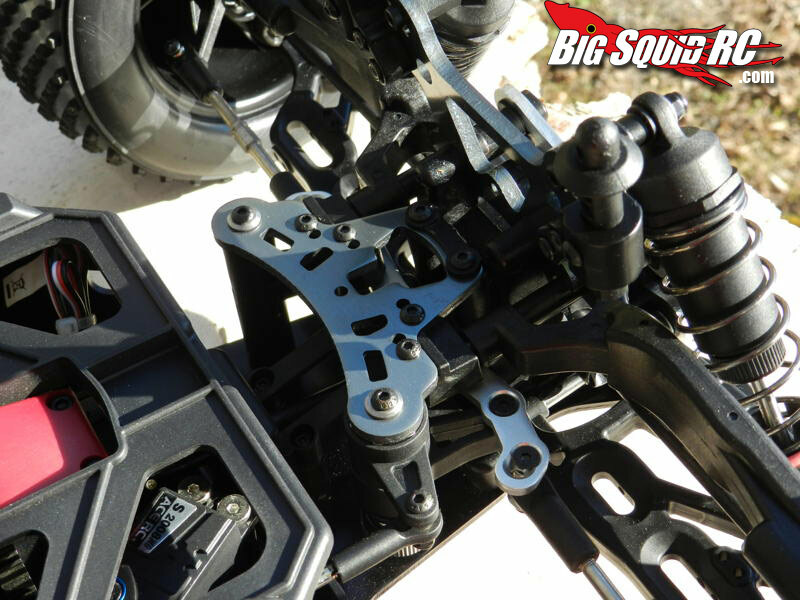 The steering servo has plenty of power to turn the wheels lock to lock. Under power there was a slight push on the track, but this is something that could be fixed with proper track tires. With high speed turns, you will find the usual push, but the truck did not roll over. It was great the way it’s low center of gravity and wide stance kept it planted to the ground. JUMPING: The Thunder Tiger handles the big air great. I did have the usual chassis slap you find with all truggies. The four oversized oil-filled shock absorbers with 16mm Diameter Pistons did a great job absorbing the force of the impacts, and the wing helped keep it level in the air. 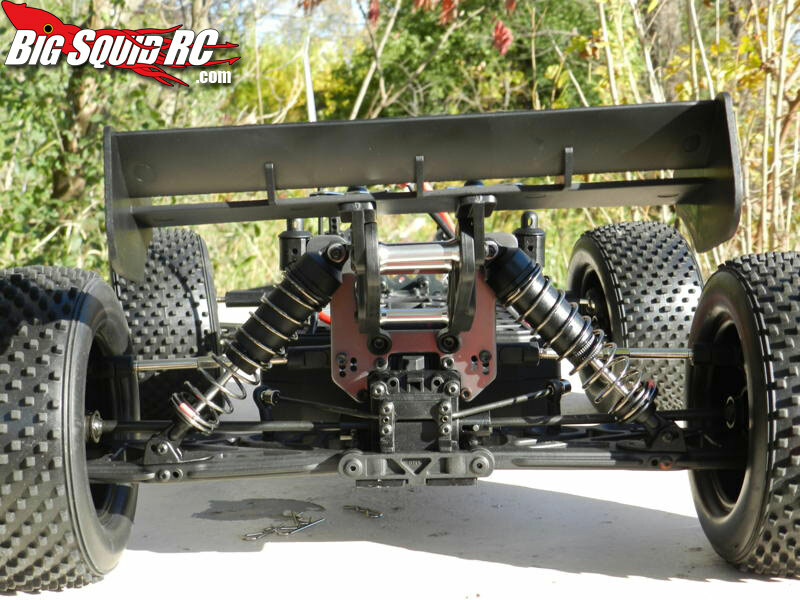 ON-Road– This is a track truck, but being bashers, we had to run on some blacktop. The tires gave out a lot of noise while turning. There was some slight body roll, but you have to expect that from a truck. 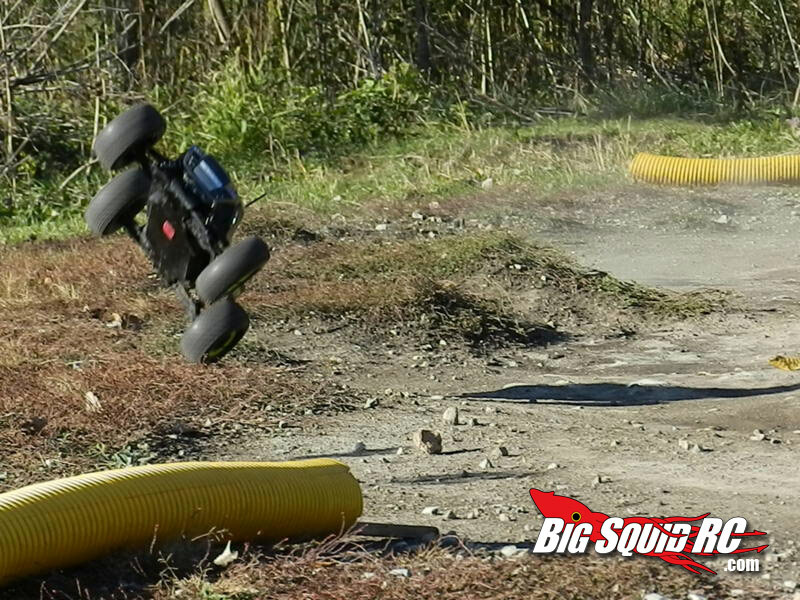 We were still able to keep the tires planted and had a blast hitting the street ramps. GRASS: The ST4 G3 is a blast in short grass. The brushless power and 4WD just eat it up! With a center diff, it will not hold a wheelie long, but it will pull the front wheels off the ground when you grab the trigger at any time. 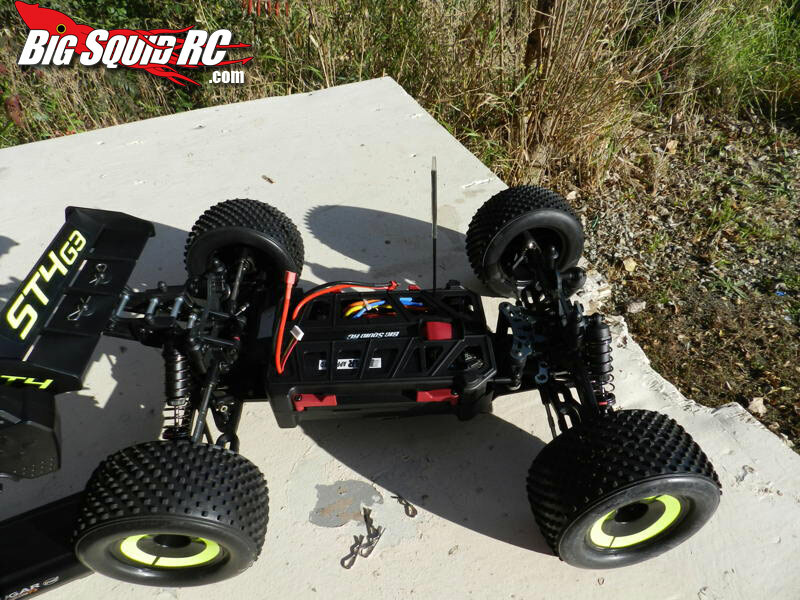 POWER: I tested the ST4 G3 with a Track Power 4s 6800mah 70c battery. 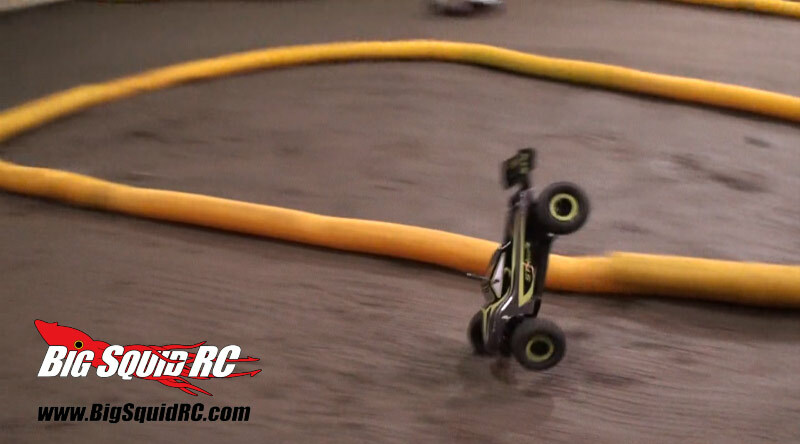 The BLC-80C ESC and Ripper IBL40 2000kv have more than enough power to shred the tires off of a lesser truck. If it wasn’t for the center diff, the truck would be on it’s lid with a full trigger pull. The top end did feel a little soft, like it ran out of gear. This could be attributed to it being more of a track truck. The power it puts down on the low end will pull you out of a corner fast. 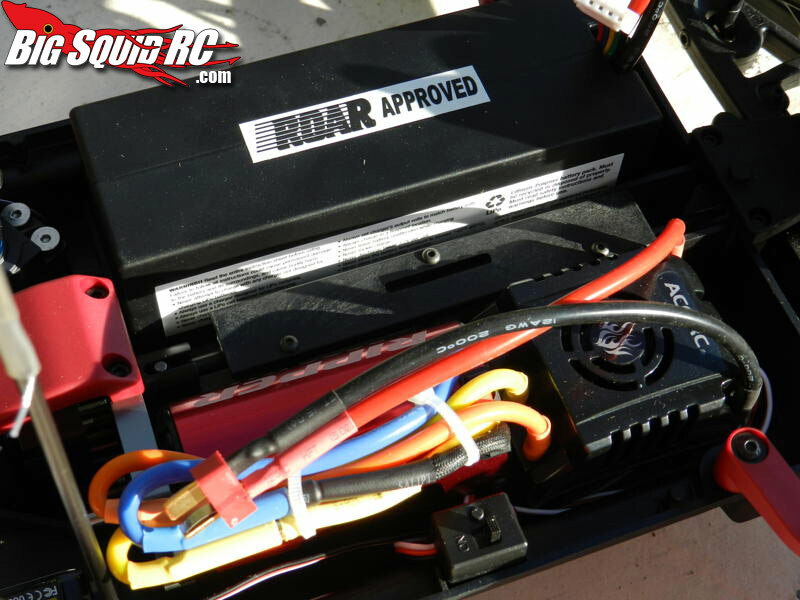 RADIO: The COUGAR P3 2.4GHz transmitter is standard equipment with most Thunder Tiger vehicles. It is a good RTR 2.4 radio. All the end points and trims are set with dials. The trigger and wheel are in their traditional positions and it also has a fold over antenna. It takes 6 AA batteries, which is a little different than most of the 4 or 8 we usually see. Broken Parts Although nothing really broke, the problems with the shock caps did require leaving our test spot to go back to the shop to fix. The dog bone problem was fixable in the field. We beat this one up good. At the track we were jumping front double and LEAVING the track slamming the pavement, bleachers and or garbage cans, and this was done more than a few times… on purpose. Best mod under $5 Home made shock cap collars. Best mod over $5 For racers it would have to be a good set of tires. 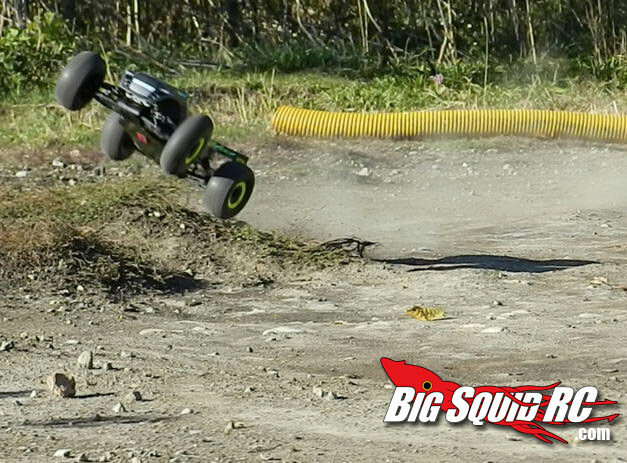 The supplied tires are great for bashing, but lack traction on the track. Time To Bash: C You’ll need to supply a LiPo, but Charging batteries and installing AA batteries are all you have to do. Workability: B The work I had to do was easy to get to and took little effort or time to do. Car Show Rating: B The body style and racy look are always a head turner. Bash-A-Bility: C Once the shock and dog bone problem were fixed, the truck took a hell of a beating, but we did have to make some small mods to get it there. So long term, it’s a good basher, but out of the box, you may need to do a little work to get there. Fun Factor: B It’s always fun when a truck can handle the big air with ease! Handling: C Bashing handling is great, but on the track the tires hurt the handling. Value: B A 1/8th scale truck that you can beat on and take to the track for some fun with this much power is a good value for sure! Parts Availability: C Parts are readily available on-line but it might be a while before most local hobby shops build up any stock. BigSquid Rating: B- The biggest thing that brought this ratting down was the out of the box issues. It is a truck that can take a great beating and come back for more! 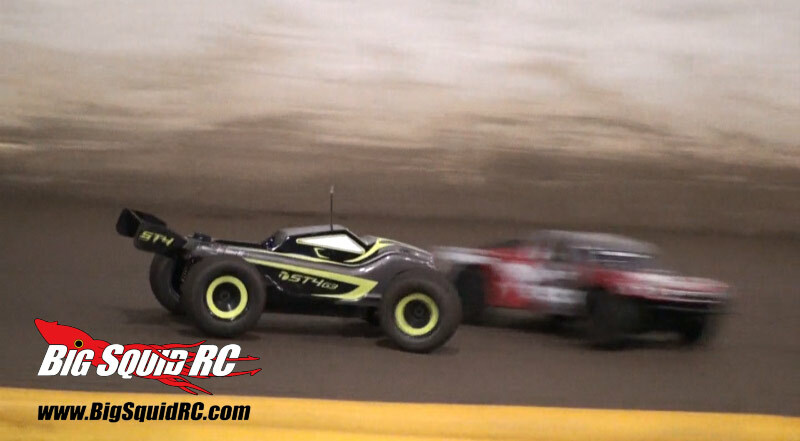 Everyone should have a electric 1/8th scale truck that can handle some big batteries, and to have one you can bash and fly at a track is a big plus!